Polished bar spoon with twisted handle. Ideal for perfectly measured additions to drinks and cocktails. 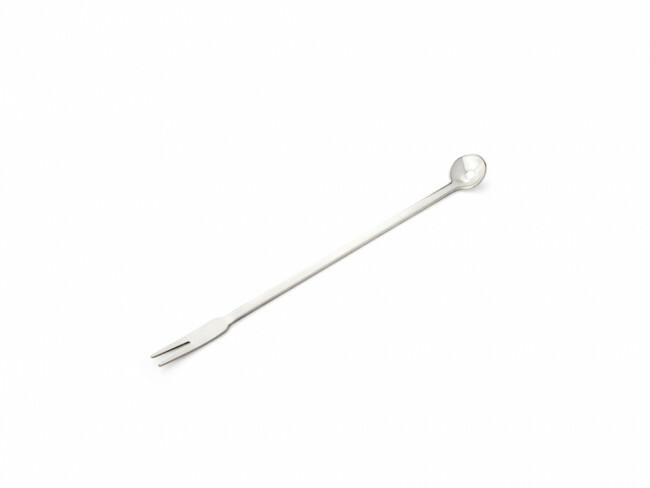 Polished bar spoon with twisted handle on one side and an olive fork on the other. Ideal for perfectly measured additions to drinks and cocktails. Never again dirty fingers with this practical olive spoon and fork from the Leopold Vienna collection.